You are currently browsing the tag archive for the ‘invisibility’ tag. ‘Ghosks is the Bunk’ is the second of four 1939 Popeye cartoon with alternate titles. The cartoon starts with Olive reading a ghost story to Bluto and Popeye. When a storm wind makes Popeye hide beneath the couch, Bluto fakes tiredness, only to rush out to an abandoned hotel to play some ghost tricks on the sailor. However, he’s discovered all too soon, and with the help of invisible paint Popeye returns the trick on him. ‘Ghosks is the Bunk’ is the first cartoon to show the major weakness of invisibility gags: when invisible one becomes practically invincible, and the viewer’s sympathy soon goes to the poor ex-bully who gets clobbered. This problem would return in the invisibility cartoons ‘The Vanishing Private‘ (1942) featuring Donald Duck, and ‘The Invisible Mouse‘ (1947) starring Tom & Jerry. During a chase Jerry accidentally falls into a bottle of invisible ink, rendering him invisible, too. In this condition he gives Tom a hard time. The invisible mouse is wonderfully animated, especially in the scenes where Jerry’s presence is only suggested by forces on pillows and clothes. However, it suffers from an all too powerful Jerry. 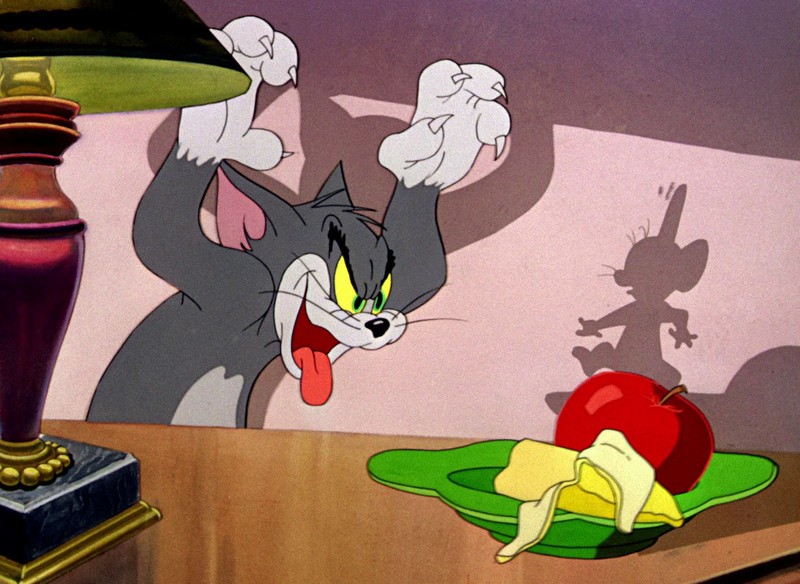 Tom doesn’t stand a chance against his invisible opponent, making him pitiful rather than a comical foe. 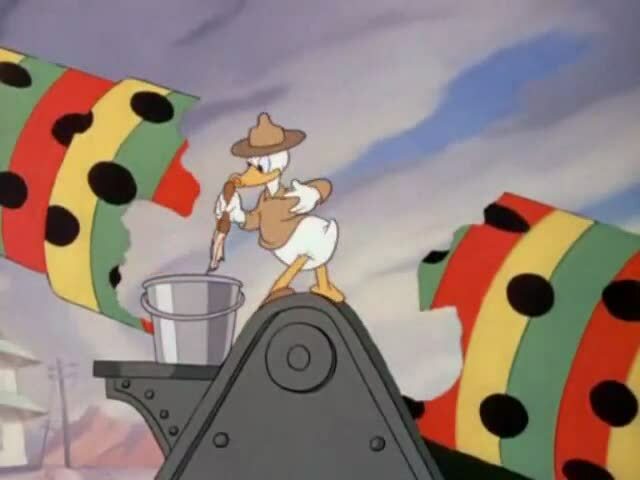 The soundtrack, with its surprisingly low amount of sound effects, doesn’t help, but the main problem lies in the invisibility itself, for the Donald Duck short ‘The Vanishing Private‘ (1942), using the same idea, leads to an equally unfunny cartoon.